Hinesville became an accredited Classic Main Street Community in January 2015, graduating from “start-up” status, which it received in fall 2013. The basis of the program is a four-point approach that serves as a preservation-based economic development tool to help participating communities revitalize their downtown districts. 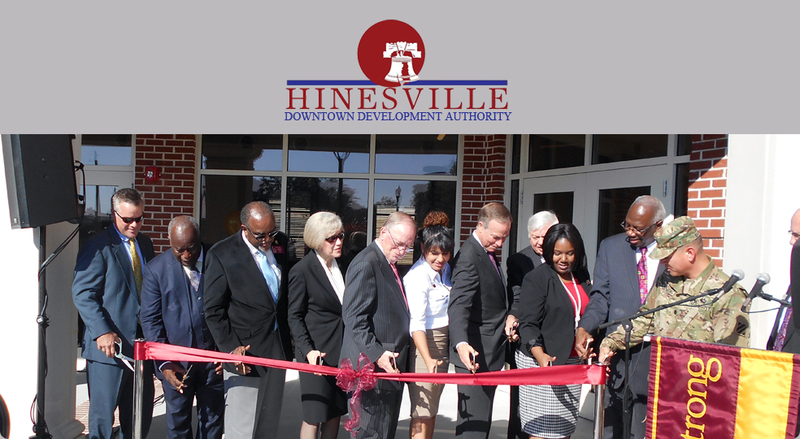 • Organization: The Hinesville Main Street program is dedicated to uniting downtown stakeholders (that includes those who live, work, own businesses in or just really love downtown and care about its future). We have quarterly stakeholders meetings, recruit volunteers, and map out our plans for various downtown initiatives, events and physical changes/renovations/additions. Collaborating with the community and our downtown partners gives participants a bigger sense of involvement and responsibility, which encourages everyone to focus on the same goals and actively work toward them. • Promotion: We work to create a positive public image to renew community pride in downtown. The Main Street program's promotional efforts include email newsletters, social media, flier circulation, public sign placement, digital billboards, and editorial content in local news publications. The program also values partnerships with other entities, businesses, groups and organizations, which help ensure mutually beneficial growth, increased involvement in all partners' activities, and strong support for events. • Design: Hinesville's Main Street program sees to it that downtown businesses, when opening, building and/or renovating a space, adhere to the principles laid out in the downtown overlay district design guidelines. It ensures a common appearance theme throughout downtown and helps to preserve Hinesville’s historic character. • Economic restructuring: The Main Street team is always working to reinvigorate the downtown retail sector through active business recruitment, helping existing businesses, providing support for expansions and changes, and assisting local entrepreneurs through the procurement of matching grants, low-interest loans and tax credits. By adhering to the National Main Street Program’s approach and working to uphold those four main points at all times, Hinesville's Main Street program is ensuring the development of a sustainable community revitalization effort. Visitors and residents can see the effects and results as is evidenced by growth along the Memorial Drive corridor and with other downtown events that are gaining popularity, such as the Farmers Market, Small World Festival, Citywide Yard Sale and other functions at Bryant Commons. Although this resurgence starts downtown, it really is beneficial to the entire city and community. When the core and heart of the city are thriving, that enthusiasm is contagious. People take pride in their surroundings and commit to guaranteeing future success.